For our next shop profile I thought it would be nice to stay a little closer to home and profile a shop that has become my new “local” here in London. Granted, I have to travel to Hackney to get there, but Anna Feldman’s shop is well worth the journey! I first found out about Wild & Woolly doing my research of shops that I was visiting on the Great London Yarn Crawl. It’s hard to believe that it hasn’t even been open a year as it’s already become woven into the fabric of the community that it serves. Read on as Anna answers my questions about her cosy little shop in London’s east end. 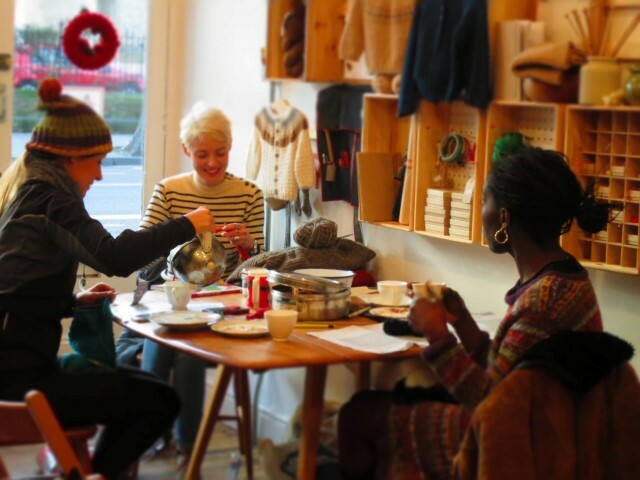 Wild & Woolly is a new shop in Hackney in London’s east end. You’re not even a year old yet! 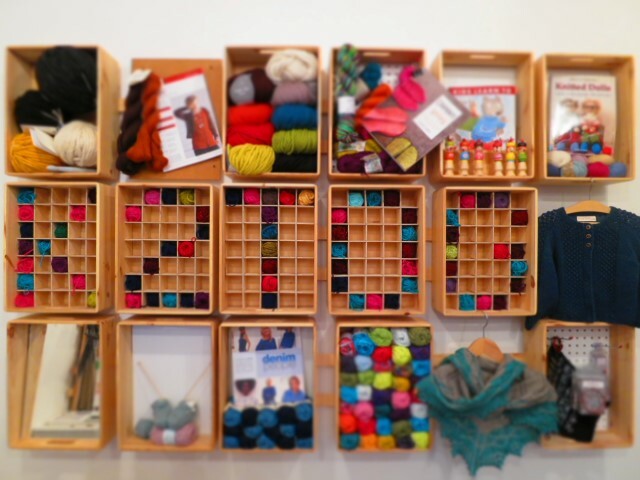 Tell us how you came to open a yarn shop and what the journey has been like up to now. Mine was a bit of a circuitous route. I want to say it started with learning to knit mitts for my unborn baby brother when I was nine. But that’s probably a bit of a stretch. Although retreating into knitting and crafting was an on-going theme throughout my childhood and student years, it was quite private and certainly never something I imagined would steer my working life. After 15 years working as a website planner on NGO projects, I found that technology no longer pressed my buttons as it had at the beginning. But as my passion for my daytime work waned, my night-time world of yarn, needles and knitting courses bloomed. I knew that I needed to change things around and that the yarn probably held the answer, but without a background in fashion or design I lacked the confidence to see where I could go with it. At some point it dawned on me that what I really wanted was to create a place which could support knitters with the sorts of yarns, needles and advice I craved, and that I didn’t need to be a designer for that. It was good enough to be a serious knitter. 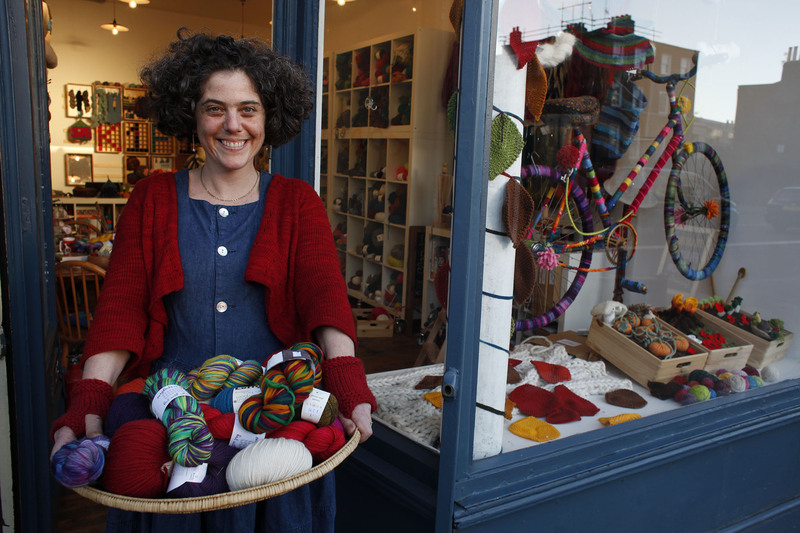 Drawing heavily on the yarn shops that had nourished and inspired me years earlier, places like Colourspun in Camden Town and Creativity in New Oxford Street, I began devising an idea for a shop and writing a business plan to see if I could get it off the ground. I think it was finding the shop premises that finally made it real. I looked around this little place and somehow saw through the loose wires and peeling paint, and felt it could be the wool shop I dreamt of. The next weeks were a funny mix of gutting, painting, fixing and fitting in the shop; and stock ordering in the kitchen at home. It was an exhilarating but also terrifying time, inching ahead as if in the dark, never quite sure where each step was taking me. Now I’m heading into my tenth month of the shop being open, it feels like it’s properly taken root in the street and amongst the local knitters. Me and the shop seem to fit here. I’m not sure how else to put it. The door swings open and knitters come in with their stitch and life problems. They take a seat at the table, I put the kettle on and we gently work through it all. The stitches get picked up, the anxieties get put down for a bit, and something soothing goes on. We talk about yarns, search through patterns, find the right needles and we work things out and they make beautiful, comforting things. 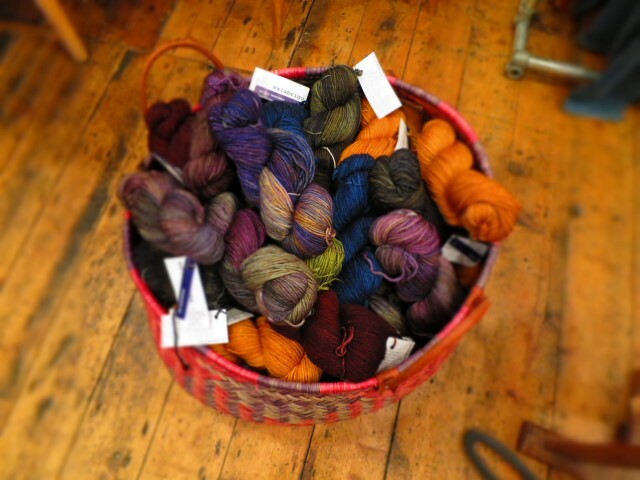 What is the best thing you’ve found so far about being a yarn shop owner? Is it everything you expected or quite different? I think this has to be the feeling of the shop becoming a part of the local knitters’ stories. Bob Dylan once sang, ‘I’ll let you be in my dream if you’ll let me be in yours.’ Sometimes it feels like that’s what’s happened here. 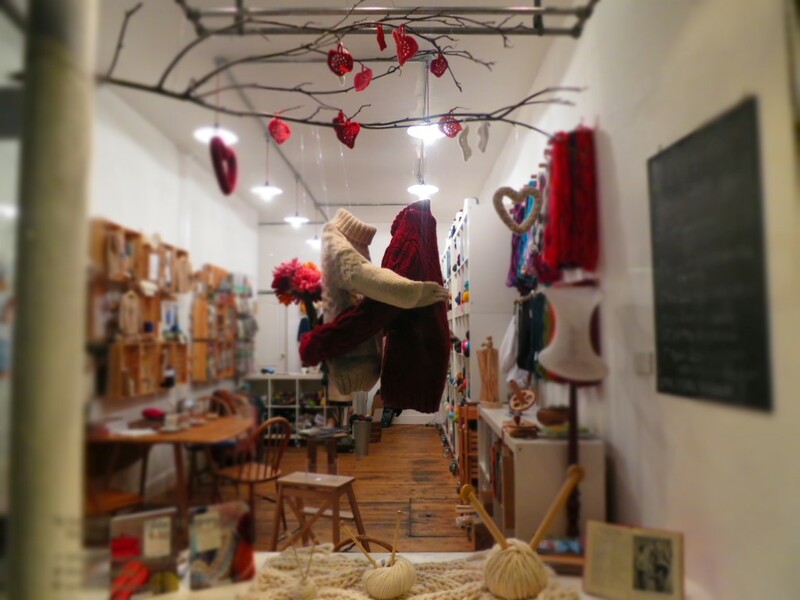 The shop has rekindled long-since dormant knitting and making habits amongst local people and that’s doing it’s magic in a way that knitting does. And realizing that I’m playing a role in that by providing the space in which it’s happening, is one of the most wonderful things I’ve ever done. London is very diverse in terms of knitting shops and options. What makes Hackey special? Who is the W&W customer? What do people come to you specifically for? 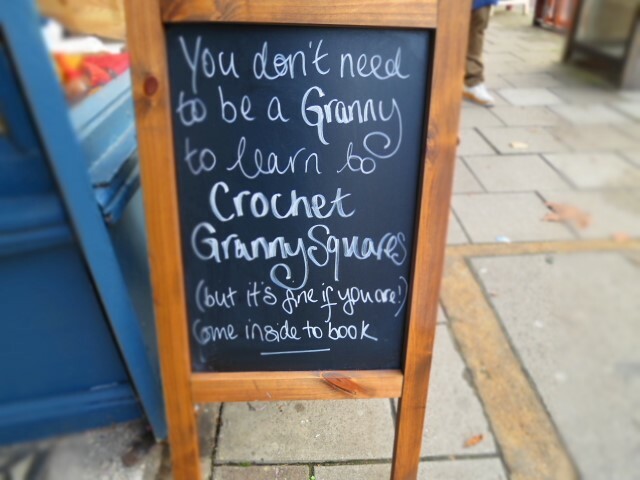 The shop sits in the middle of a very diverse neighbourhood of low income and middle income families, old and young, radical and traditional, women and men, beginners and super experienced, knitters and crocheters. So as far as supplies are concerned, I need to be really mindful of the diversity of my range. I’m really enjoying sourcing yarns from local dyers and independent producers recommended by local designers and I’m very inclined towards British breed specific yarns. It’s also great to be able to introduce knitters to less familiar fibres such as linen and yak. At the same time, my vision has always been to offer real yarn for real knitters. I know we all love to joke about our yarn stashes, but I’d still prefer to supply yarn which is going to get worked into wearable knits, than add to a guilty horde under the stairs. So that means that beyond the gorgeous skeins of variegated sock yarns, funky chunky neons and special 5-plys, I also need to make sure I’ve got a good range of machine washable, affordable work-horse yarns and I have to work hard on my pattern files to make sure they include single skein projects that will work for the more delightful hand-dyed blends of wool, silk and alpaca. What’s your own background with the fibre arts like? Do you do other crafts as well? If so, how do you find the time?! I’m a bit of a dabbler with other fibre arts and have gone through periods when I’ve got really into felting and machine sewing. I’ve had a go with spinning and would love to take that on a bit further. I think my enjoyment of other fibre arts is about the way that they develop my understanding of yarn and that tends to always come back to my love of knitting. Finding time isn’t easy which is probably another reason why knitting always ends up floating to the top again – it just seems to find a way of fitting in regardless. My mum taught me how to form a knitted stitch when I was about six and got me started with a very child-like, rather clumsy scarf effort in a vile pink acrylic. It never got finished and I can still picture the discarded project complete with dropped stitches and widening and narrowing rows. It put me right off knitting for a few years until my granny took me in hand and we started all over again. I loved watching her needles glide effortlessly in and out of stitches and the magically patterned fabric that grew from them. She showed me how to wrap the yarn around my left hand and gently hook the yarn to form a loop. Her continental method felt calmer and more pleasing than the jerky English way my mother knitted. The yarn ran through my no-longer sweaty fingers and the stitches became easy and regular. And I haven’t really stopped knitting since. How has knitting shaped you as a person? Knitting has given me a safe and comforting place to go, regardless of the other stresses and strains that have arisen over the years. It’ a place where I’m at ease, confident and completely uninhibited. There’s an integrity I feel – like everything is in tune and nothing is forced. Although a lot of what I knit is for other people, it’s never done under duress and doesn’t go against the grain. Beyond that, I’ve always thought that political struggles have personal dimensions, and in that way, I feel like knitting in my life draws directly on a long-standing political interest in free expression. It’s not verbal but it’s a way of saying how I feel, who I am and also telling people that I love them. I like the warmth and thought and four that is so much a part of it. What is your favourite kind of knitting project? Are you a one-project-at-a-time kind of gal, or the-more-WIPs-the-merrier type? In knitting terms I like a project that requires thought and concentration, that has interesting rhythms to work out and slip into. So I definitely have a weakness for lace and fair isle. And I’m less keen on endless steppe stocking stitch tops. I also love the intricacy of socks, and 3D knitting in general. I like the way the structure forms and I have a particular fondness for DPNs – their smallness and the way they make a mitt or sock project so compact. As a fundamentally chaotic and distracted person, I do my best to stick to one project at a time. I’ve learned from experience that my messy attempts at balancing work, home, children, food, friends, etc… are better served by less simultaneous knitting projects. 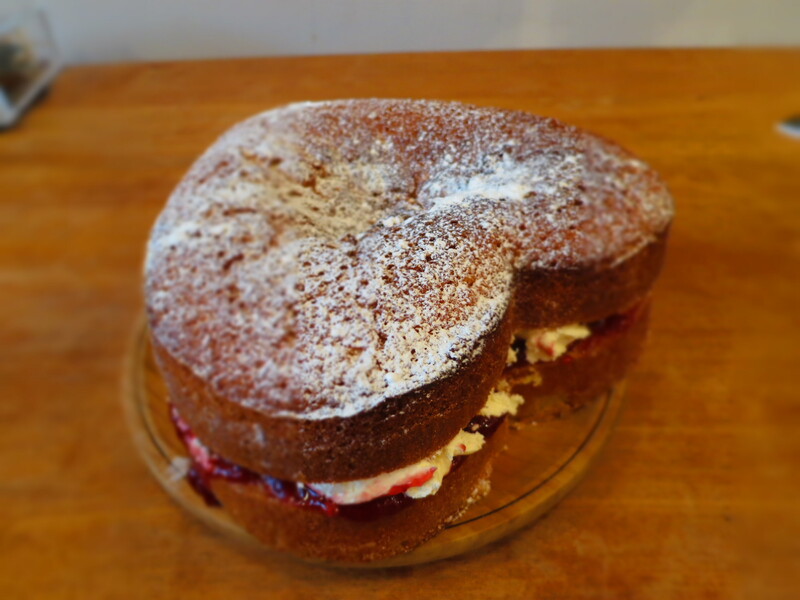 If you weren’t running Wild & Woolly what would you be doing? Feeling slightly sad and fantasizing about doing it! Any plans or exciting things happening with your shop in 2015 that you’d like to share? And of course there’s the first year anniversary to look forward to this coming May! HUGE thanks to Anna for taking the time to share what makes her shop so special. 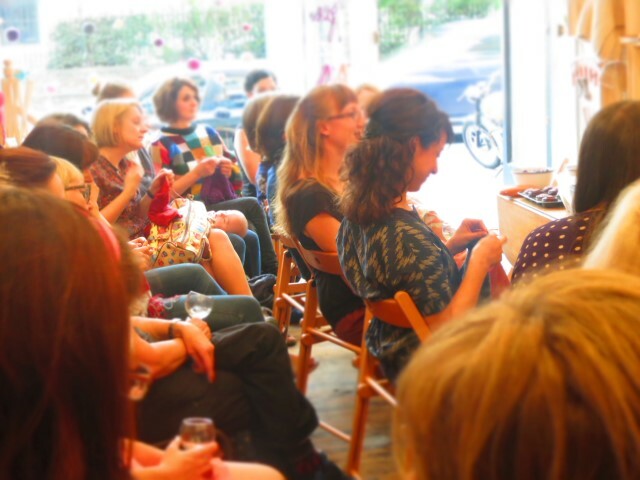 I know I live on the opposite side of London, but Anna’s Late Night Knitty Lock-In’s once a month are worth the journey….wine, cake, knitting and lovely people. I can’t wait until my next visit! This entry was posted in fun, Inspiration, knitting, Shop Profile. Bookmark the permalink.